Sitting on my balcony at the RIU Palace in Cabo San Lucas, I’m overlooking the Sea of Cortez, watching a parade of one (sometimes two) cruise ships glide past El Arches into port. This is Baja’s version of a traffic jam. My junior suite is strategically situated for straight-line views of the pool and restaurant terrace as well. It is a perfect spot to watch people; what they drink, what they eat, how they dress, and how sunburned they are. I feel like a drone hovering above the crowd. It’s a guilty pleasure. A recent list of obscure words pop into my mind. One is “fudgel,” from the 18th. century, meaning “pretending to work but not really doing anything.” Remember The Office and the Dunder Mifflin Paper Company? I feel like a full-fledged fudgeler. However, I remind myself I’m actually here to write a travel story about the RIU Palace $23 million upgrade. My intention is to let the changes sink in slowly while enjoying the all-inclusive aspects of the resort. 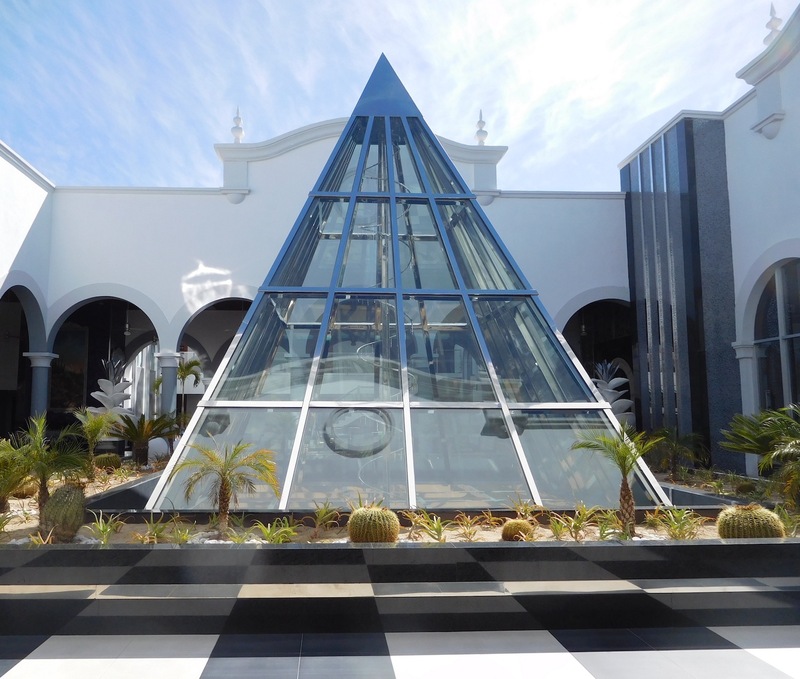 First Impressions: Upon arrival, I notice the striking pyramid in the lobby, along with the new front desk design. Bold colors and shapes are artistically juxtaposed onto the classic colonial style architecture. A new palate of hues throughout the resort is obvious. Discoveries: The proverbial fork in the road leads to the two main pools. The Entertainment Pool features hourly activities to keep me busy: games, water aerobics, volleyball, music, and an engaging social director. The Relaxation Pool is much quieter and conducive to lounging, reading, snoozing, and unwinding. Being a RIU beach bum is another option; chaises under palm trees dot the sand. Stretched out, I can watch people para-sailing, watercraft buzzing by, and locals selling everything from sombreros and jewelry to horseback rides. My mode for the entire week is languid and lazy. 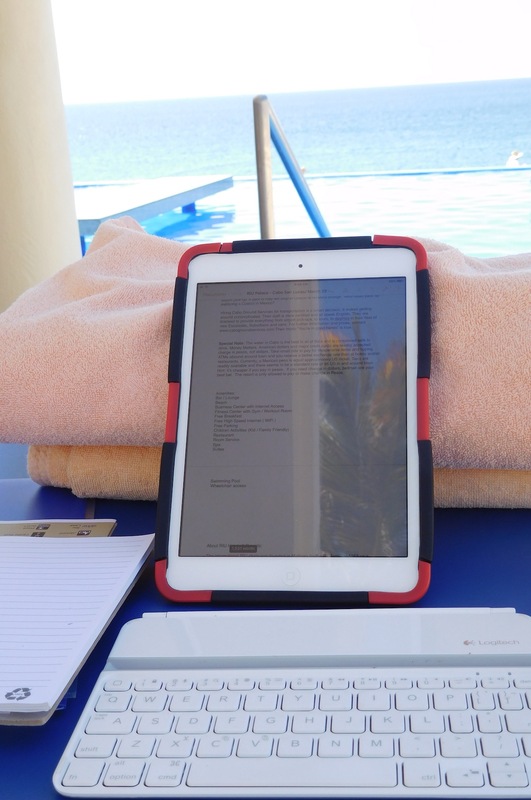 That circles me back to the word “fudgeler.” How do I write about unhurried mornings at the pool reading, followed by lazy afternoons settled in by the sea and watching the procession of people and boats as they sail or motor by? I’m floating in time on my own land-locked cruise to nowhere; food, drinks, entertainment, beach, and a great “cabin” in an all-inclusive setting. No one will believe I’m actually working! 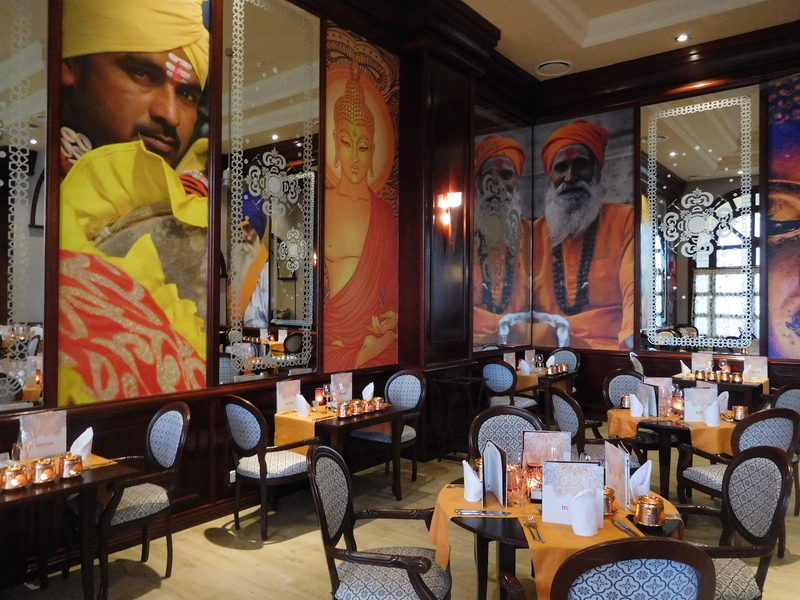 Culinary: Three new outlets have been added: Bombay, an Indian restaurant, Lounge 24, a self-service snack, drink and coffee bar, and Capuchino, a patisserie featuring coffee and ice cream treats. I’m kept well fed at six other restaurants featuring Mexican, Japanese, Italian, fusion cuisine, steaks, plus expansive buffets for breakfast, lunch and dinner. I try them all and don’t go hungry. Does that count as work? RIU Style: RIU’s 692 room types range from standard to suites (there are eight with Jacuzzis on their balcony). 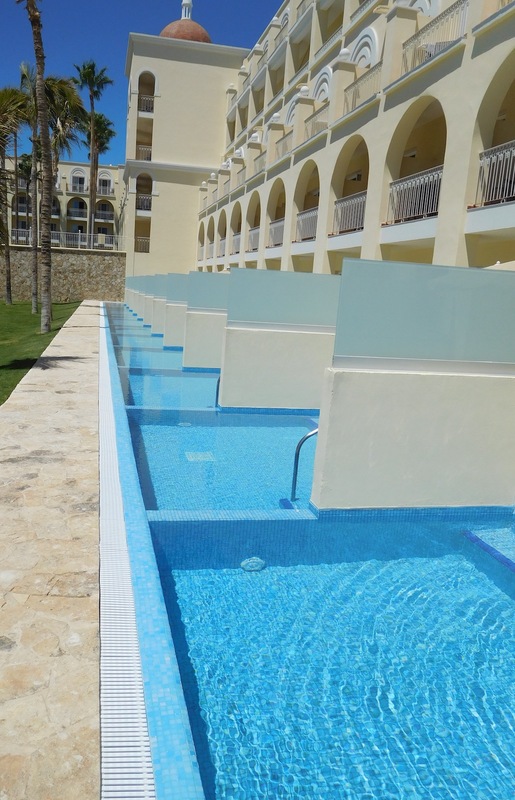 They also added 44 junior suites with their own splash pools. 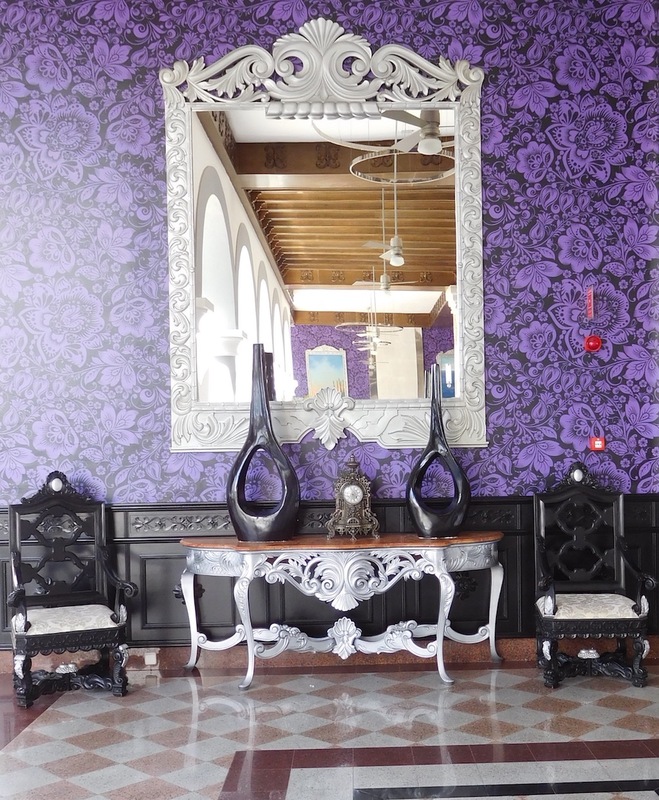 There is free Wi-Fi throughout the resort, mini-bar, alcohol dispensers, and flat screen TVs in the comfortable rooms. There are seven bars including two expanded swim-ups, 24-hour room service, six pools and a beachfront fitness center. 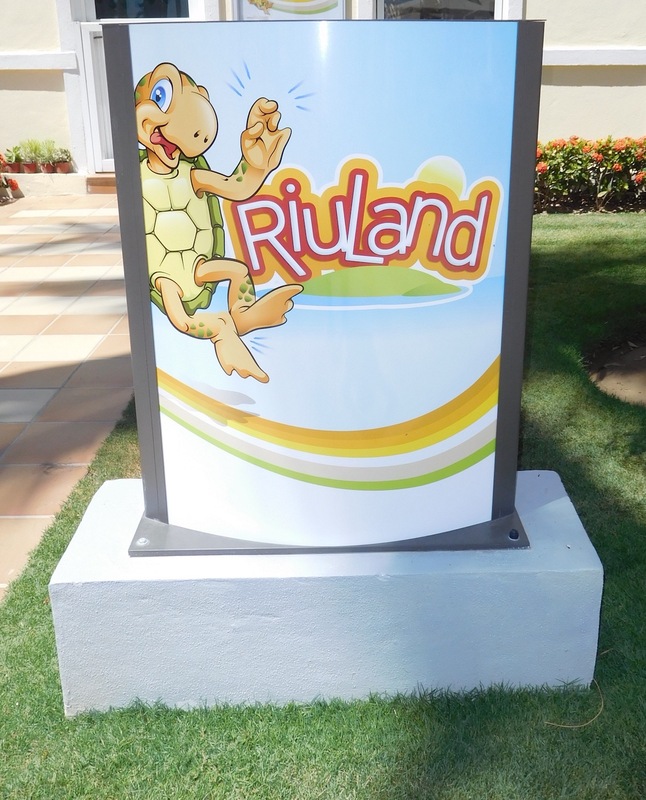 RIULand is a camp for children. Nighttime activities for kids and adults feature live shows and music. Scuba Caribe offers whale watching, fishing, water sports and tours. The Renova Spa features a full range of massages, facials, plus salon and beauty care treatments. 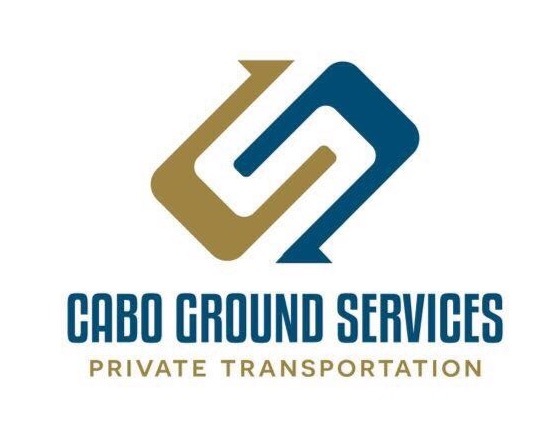 Wrap Up: I arranged airport transfers with Cabo Ground Services. Our driver, Noah, is a big-time surfer and trained with the legendary, Dorian “Doc” Paskowitz in Southern California. Their motto, “You’re in good hands” rings true with him at the wheel. For information go to www.cabogroundservices.com. The RIU chain was founded in Mallorca in 1953. Today, it spans the globe with over 100 hotels and resorts in 18 countries. Logon to www.riu.com for information and reservations. This is my third trip to Cabo San Lucas. There’s an abundance of sightseeing, sports, fishing and shopping in the area, but on this trip I was happily grounded at the RIU Palace. After all, I had a story to write! Fudgeler or not, I have the best job in the world. 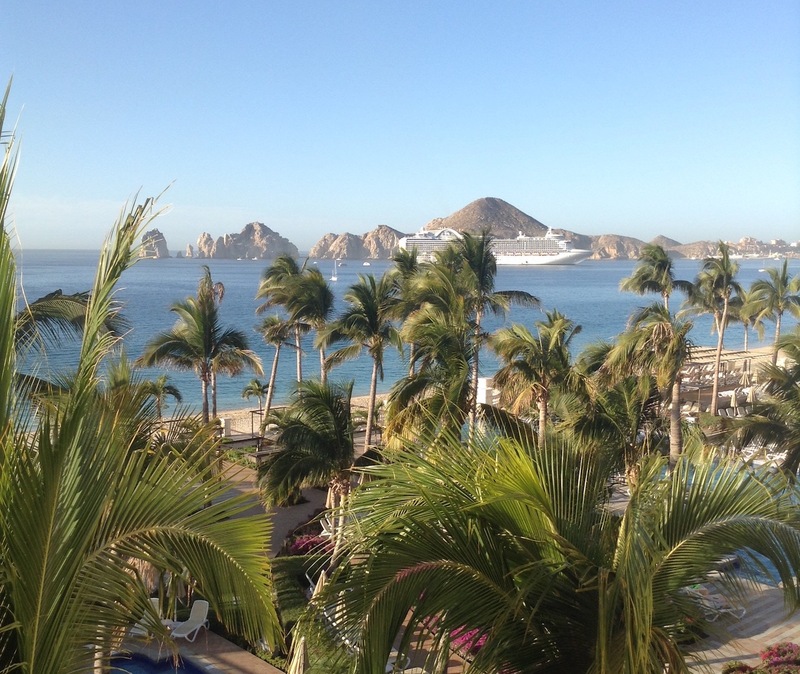 This entry was posted in Mexico, Travel Stories and tagged arches, baja, cabo, mexico, RIU. Bookmark the permalink.